Consider mini notebooks and bookmarks as the perfect marketing item by adding your studio information and gifting them to your clients. With plenty of pre-designed templates to choose from, these items will proudly display your favorite images on an item that will continue to get used again and again! 5 sizes to choose from – wallet, 3.5×5, 4×5, 4×6 and 5×7. Wallet size is available in quantities of 4, 3.5×5/4×5/4×6 in quantities of 2 and 5×7 in quantities of 1. Black spiral-bound with 32 sheets of blank notebook paper. 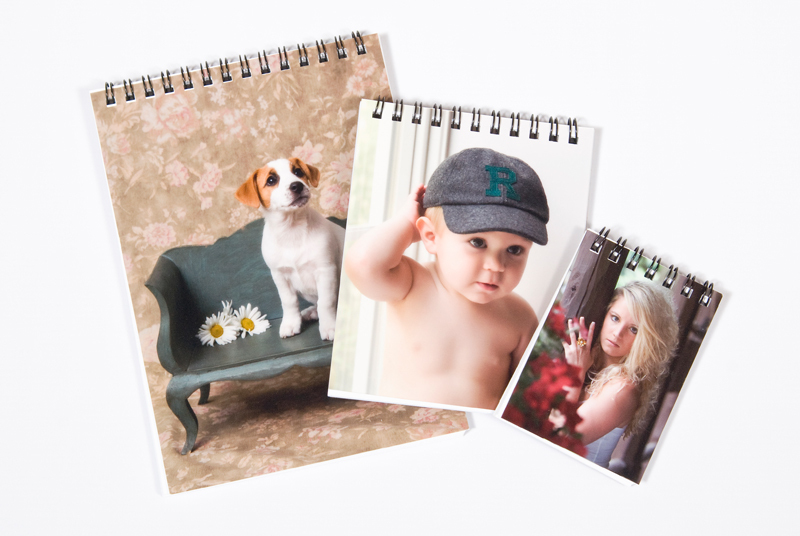 Consider these a marketing item by adding your studio info and give as gifts to your clients! 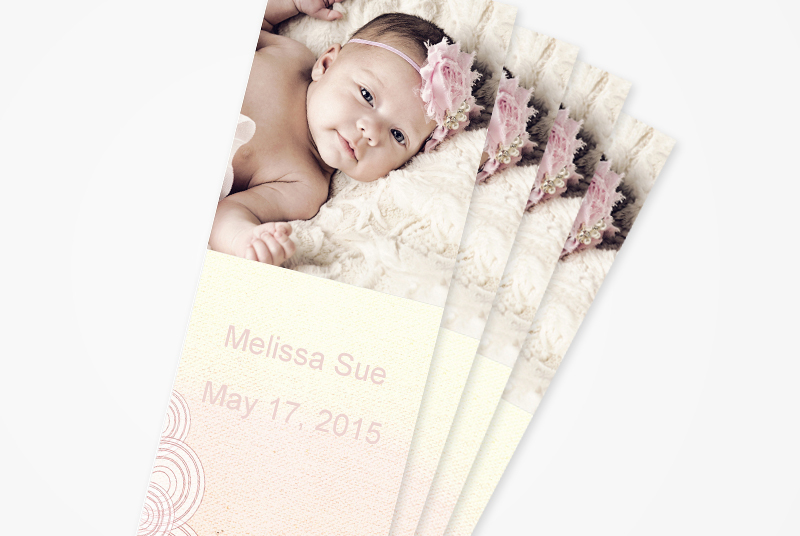 Bookmarks are printed 2″ x 7″ in size. Pre-designed templates to choose from. Minimum order of 16.